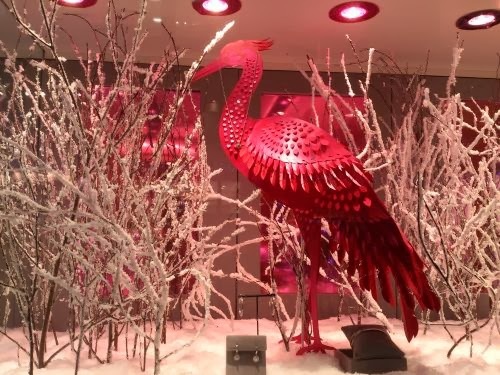 Despite being over 5 weeks away, the shops are full of Christmas goods for people to spend their money on. In Glasgow the Christmas lights had been put on but the centre-piece of the decorations - George Square - was like a building site with workmen setting up the ice-rink which will be opening in December. The Christmas market at St Enoch's was again popular, with the food stalls being very busy. 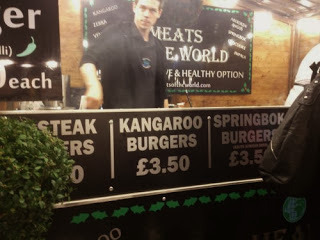 Some of the food was very unusual, with Kangaroo burgers being on sale. I was there to buy some Fair Trade Nepal gloves and a hat. I also ended up buying a thin woollen Nepal blanket to use to keep warm if it gets cold while I am out. The Nepal gentleman above works as a Sherpa in the summer and sells the goods made by the women of Nepal around the world in the winter. 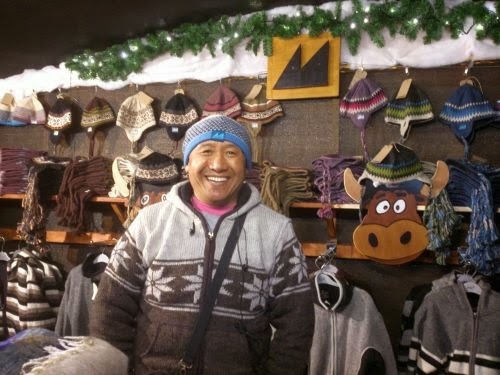 The hat he is wearing was designed in the Highlands of Scotland and made in Nepal. Many people travel to Nepal to climb Mt Everest and this provides work and an income for these hard-working people. The women knit woollen garments to sell to people in Europe and beyond and these have become very popular. The French make some nice sweets and, as can be seen above, look very tempting. 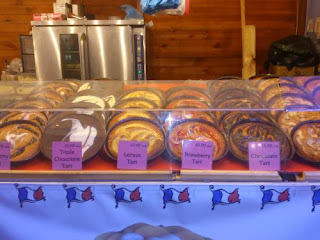 Fortunately I am not much of a cake and sweetie eater, so I was able to resist these lovely sweets. 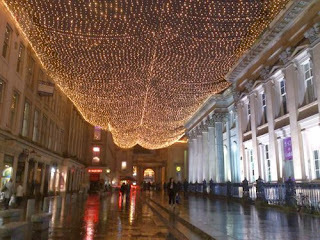 Royal Exchange Square is usually covered by a canopy of light. It looks very nice. Buchanan Street is the third most expensive street rent-wise in the UK and the shops located here sell the most expensive goods money can buy. When looking for Rolex, Omega, Gucci, Hermes etc the street to make for is Buchanan Street. You should get it there. 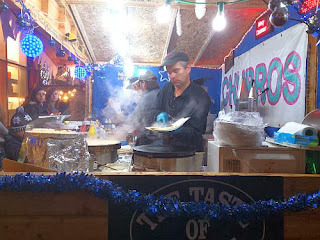 French crepes were popular again this year. 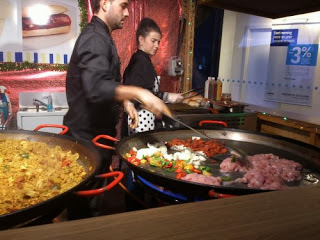 There were a number of people in the queue waiting to be served. Some burgers made from exotic meats such as Kangaroo, Springbok and Buffalo. 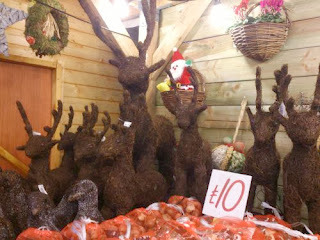 The wicker Reindeer looked very realistic. I was tempted to buy one. 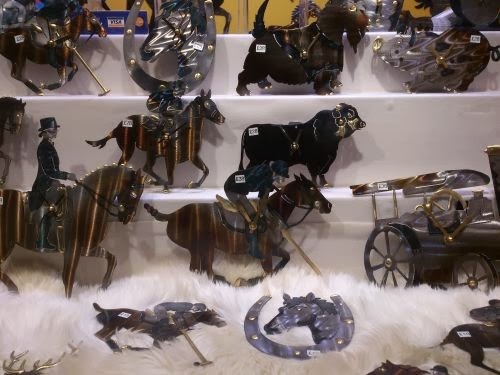 The metal wall plaques were very good and changed colour when turned in the light. They were very well made. 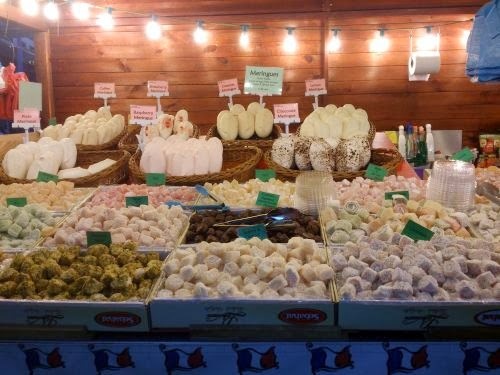 It was very enjoyable walking through the market and I look forward to going to Edinburgh with my friends to see what Christmas is like over there.